A huge thank you to everyone who sponsored me for the Yeldall Manor Walk for Freedom I did last Saturday. Other than the torrential rain in the afternoon it was a beautiful walk up the Thames from Windsor to Yeldall Manor which is just by Shiplake - around 28 miles in total. So far the 63 people who did the walk have raised over £20,000 to help fund bursaries to allow people to access Yeldall's life transforming rehabilitation programmes. If anyone would still like to sponsor me you can do that here. 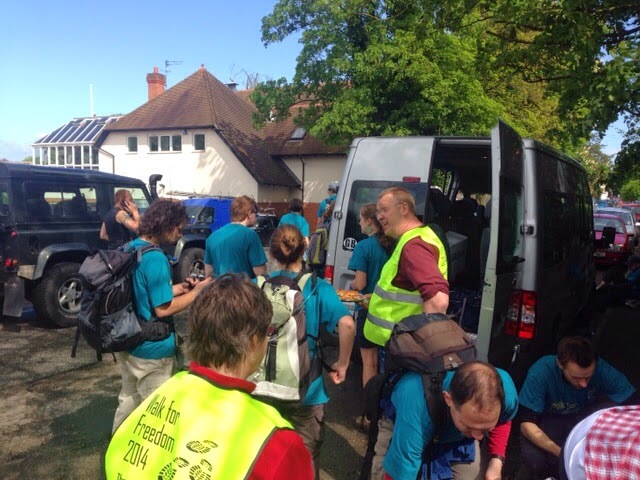 Thank you also to Sue Hedger and the team at Yeldall who organised the walk - you served us brilliantly. If you're interested in finding out more about the amazing work of Yeldall they've got a Celebration service this Friday (16th May) at 7.30pm at Yeldall Manor which they'd love as many of us as possible to attend. Finally to congratulate eveyone else from Kerith who did the walk - Karen Mehta, Pete Moon, John Stone and Andy Partington - we'll compare blisters later!